My neighbor gives me these Korean cookies that look like dog treats. If I went to the store and saw it on the shelves I’d never buy it but it’s actually really delicious. This is the reality of most business owners. Their offers are good -- once you get to it (and most people won’t) but from the outside, no one wants to buy it. It looks like a metaphorical dog treat. The unfortunate truth is that it doesn’t matter how good your thing is if it’s not appealing enough to hit the buy button. People don’t buy the thing. They buy what the thing will GET them. What will they accomplish? How will they change? Take Spanx for example. The idea of Spanx has been around for years and years but it was only when Sara Blakely transformed the idea of getting rid of muffin top into a lifestyle brand that it became a billionaire company. There are a lot of Spanx-like products (that quite frankly do a better job) but you haven’t heard of them, have you? 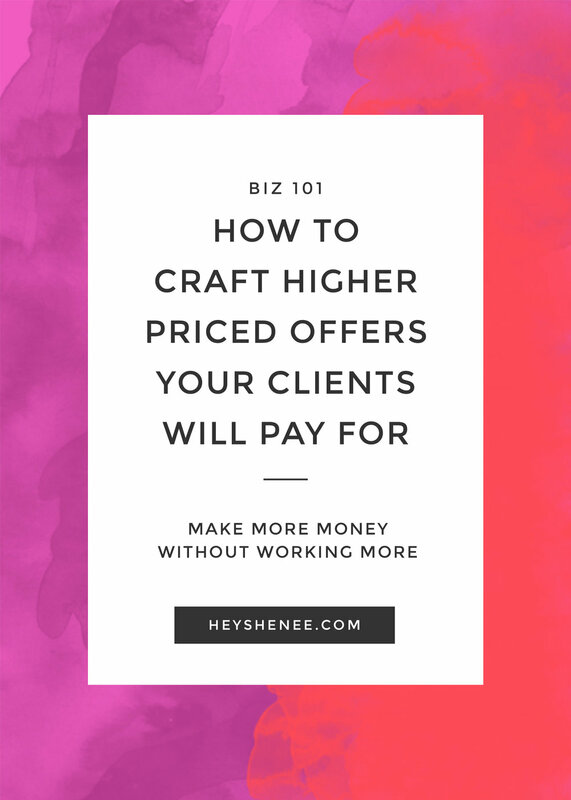 This is also why you might be stuck, not able to reach specific heights with your pricing. People are more than happy to send you a small amount of money if they like you but don’t know how well it will work but will never pay premium prices for something they aren’t sure about. I repeat: people pay a premium for clarity and focus. They are willing to invest cheaply just out of curiosity. This is why your clients don’t pay more. Identify a specific clear problem that you are solving with what you do. A note on #4 - it’s totally okay if you are solving more problems, you just need to focus on the one. These same 4 rules apply to your entire brand and what you do. Can you answer those 5 questions with absolute clarity? If you can you have the makings of a top-dollar offering. #5 is also ESSENTIAL. Does your offer have a gotta-have-it name? I’ve still got a few spots for my 1-day brand retreat Brand Fix this year, which is a 1-on-1 experience for business owners who are ready to stop trying to figure it all out on their own and just want to get it done. You can apply for that here and payment plans are available.